I’ve been a V.A. (Veterans Administration) employee since 1977. It’s always been an honor to serve my fellow Veterans and provide some measure of comfort to their families. When asked to create a centerpiece fountain, for our newly installed Veterans Park, a mildly abstract image came to mind. The base/rim has a front to rear upward pitch. 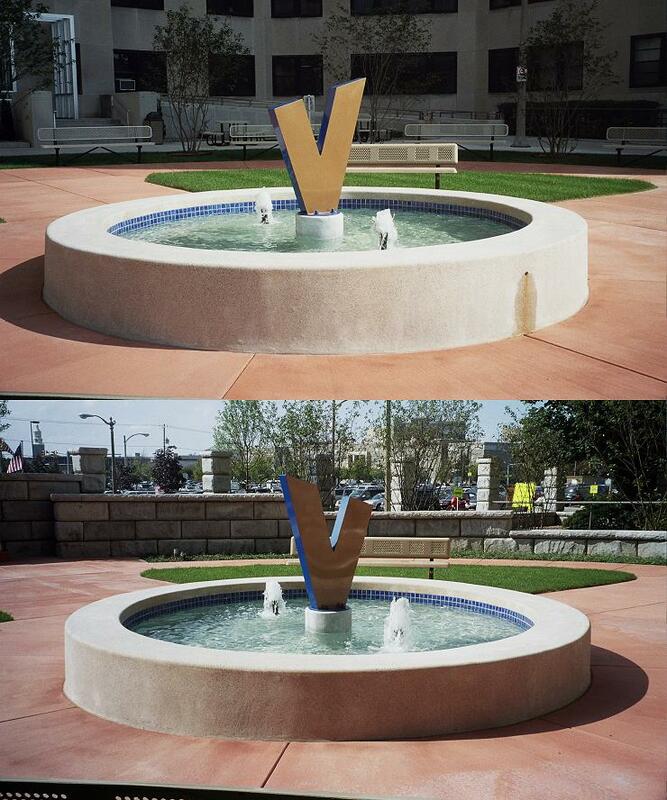 Angles are also incorporated into the ‘V’ ( for Veteran ) sculpture that surges skyward. My intention was to design a meditative atmosphere, a place to reflect. Remembrance. 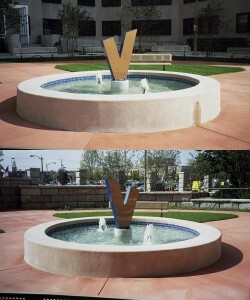 The ‘V’ was installed at the time of a fellow employee’s death. It made me think of my many co-workers who have passed away. Not all were Veterans and some, I hardly knew. However, we all shared a common ground in our service to those who have served.